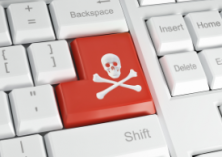 While there are potentially hundreds of pirate sites scattered around Europe, the operators of relatively few of them ever see the inside of a court room. The same cannot be said of four men previously connected to the once hugely popular but now-defunct pirate sites SeriesYonkis, PeliculasYonkis and VideosYonkis (Series, Film, and Video Junkies). The men went on trial yesterday in Murcia, Spain, and the stakes are extremely high. Potential prison sentences are on the table along with damages claims of more than half a billion dollars. It’s clear, this is no straightforward case. Defendant Alberto García Sola is said to be the owner of a company called Poulsen SL, which apparently owned the sites. SeriesYonkis and PeliculasYonkis were sold to another company, Burn Media, in April 2011 for 610,000 euros. Defendant Alexis Hoepfner is the owner of Burn Media, which brought the sites but then allegedly sold them on again in 2014. 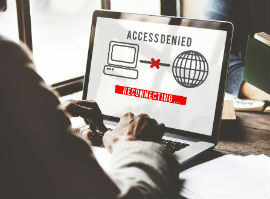 In the interim period, however, Hoepfner struck an extraordinary deal with Spanish Netflix competitor Filmin, with his company obtaining a 23% stake in Filmin, on the condition that pirate links were replaced with others pointing to legal content. Publico reports that defendants Jordi Tamargo and David Martínez were Hoepfner’s partners, who allegedly pocketed 175,000 euros each for their involvement in the deal to buy the Yonkis sites. 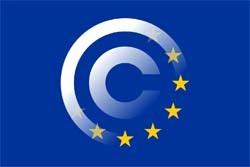 The case is based on evidence gathered by local film industry group EGEDA and FAP, the Spanish Anti-Piracy Federation, which represented the rights of MPAA members including Paramount, Sony, Universal, Walt Disney, and Warner Bros.
EGEDA, by Publico’s calculations, is demanding compensation totaling 546 million euros – around 199 million from Sola, 318 million from Hoepfner, and 14.3 million each from Tamargo and Martínez. FAP is demanding around 9.5 million euros in total from all four men. While a Prosecutor’s Office report is believed to cap the damages at 170 million euros maximum, jail sentences of up to four years each are being demanded by the entertainment groups. Prosecutors are believed to be aiming for less, perhaps two years. SeriesYonkis, PeliculasYonkis and VideosYonkis don’t operate as ‘pirate’ portals anymore and haven’t done for years. Back in 2014, the sites agreed to stop linking to pirate content following an agreement with FAP. Just weeks before reaching that deal, SeriesYonkis was labeled a “notorious market” by the US Government. A year later, the label was removed by the USTR for its good behavior but that doesn’t appear to have helped the four defendants now on trial in Spain.